Welcome to District 12 & 13's website. We hope the information here will assist you in finding local information about meeting locations, schedules of events and District and Area minuets. 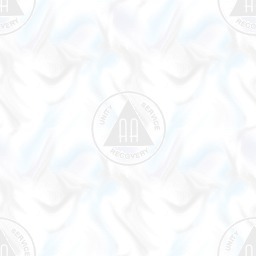 As well there are links provided to other AA approved web sites. You can use this page to find your way through all the information the district has to offer. There are meeting schedules, an event calendar, & special notices. You'll find a link which will allow you to contact us in case you have questions, comments, or ideas. Please remember, however, that Alcoholics Anonymous Districts 12 and 13 have the sole right and responsibility for the content of these pages, and may refuse, at their discretion, to post any material at any time. So thank you for visiting us and we hope to hear from you soon. The 1213 club is a non-profit corporation which was incorporated in accordance with the laws of the state of Ohio . The primary purpose of the club is to provide a facility for recreation and fellowship for its members and guests in which there will be an atmosphere conducive to maintaining a life of sobriety. The club also rents space to meetings. Each meeting is autonomous, retaining complete control over its own treasury. The 1213 club is not a part of Alcoholics Anonymous or the A.A. structure. Districts 12 & 13 are part of Alcoholics Anonymous. In the A.A. service structure, all of the U.S. and Canada is divided geographically into units called areas. Each area is divided geographically into units called districts. Districts 12 & 13 are two of the approximately 30 districts which comprise Area 56, Southwest Ohio . Each district includes 10-15 groups. The Great Miami River is the dividing line between District 12 and District 13. Groups east of the river are in District 12, and groups west of the river are in District 13. At district meetings, representatives of each group meet to further communication between local groups and with A.A. as a whole. The representatives learn about problems and to contribute to the growth of A.A.